It’s fruit fly season, and while they won’t harm you, there’s no harm in getting rid of them. The first step in killing fruit flies, known as Drosophila to scientists, is to attract them to a death trap. Though they have 850 times fewer neurons, worse vision and fewer types of odor receptors than we do, they manage to find well-ripened fruit with ease. The odor receptors they do have are specific for smells associated with rotting fruit, such as acids. The tiny acid molecules float in the air and bind to receptors on the surface of the fruit fly’s antennae and mouth. 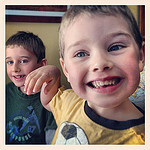 When these receptors are activated, they send signals to the brain to indicate the presence of a potential food source. An acid-based odor will attract fruit flies like scientists to the smell of a hot pot of coffee. Fruit-based vinegars, whose main ingredient is acetic acid, are perfect for enticing fruit flies in your own kitchen. To start your death trap, fill a shot glass or other small container with a fruit-based vinegar, such as balsamic, apple cider, or red wine vinegar (the latter two are most satisfying as you will be able to witness the destruction of your fruit fly population at the bottom of the glass). However, simply leaving a shot glass full of fruit-vinegar will only serve to feed the flies. The surface tension of the liquid [Ed. note: You remember surface tension, right?] allows fruit flies to land on liquids but not drown. This tension occurs because, unlike within the liquid, the forces on molecules at the surface of a liquid are not equal on all sides. These surface molecules are more attracted to each other, creating a layer that is strong enough to support the weight of a small insect. To break the surface tension you’ll need a tiny bit of dish soap. Dish soaps contain surfactants, which are molecules with a head that likes water, and a tail that doesn’t. Because of this property, the surfactants tend to situate at the interface of air and water, forming molecular “cliques” that disrupt the surface tension of water. By putting a tiny bit of dish soap on your finger, and touching it to the surface of the vinegar in the shot glass, you will add enough surfactant to break the surface tension. (Add too much and the molecules in the dish soap will alert the fruit flies to danger). Now fruit flies will unknowingly attempt to land on the vinegar for a little sip, then, before they can react, will break through the surface tension and begin to drown. 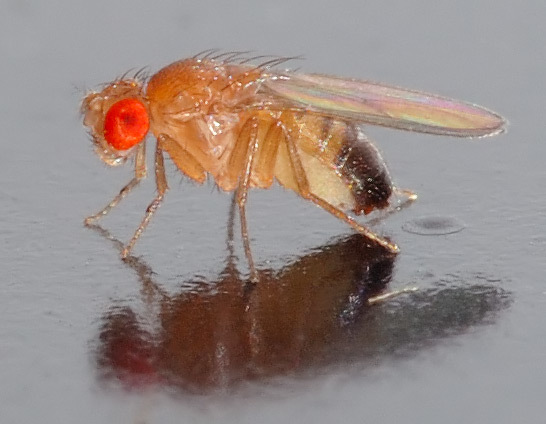 If you can’t bear the thought of causing the slow death of a fruit fly (if it takes a fly a half hour to drown, it’s the equivalent of about 19 days in human time, given their average lifespans of 30 days and 78 years, respectively) you can kill their un-hatched babies instead. 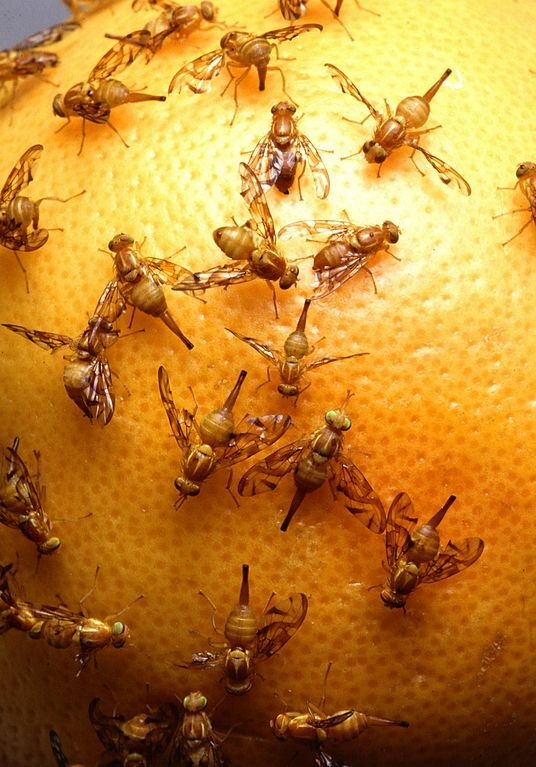 Fruit flies lay eggs on the surfaces of fruit, like banana peels, so when the eggs hatch the larvae will be atop a meal. To prevent these eggs from hatching, either microwave fruit scraps for a minute or put them in the freezer overnight before putting them in the garbage or composter. The embryos will not survive the extreme temperatures. 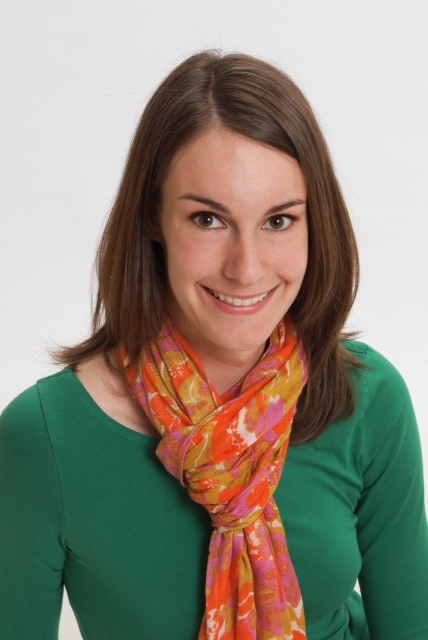 Christina earned her PhD in cell biology and molecular physiology at the University of Pittsburgh. She is a science writer for the American Society for Cell Biology.